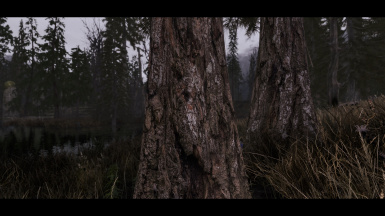 (Updated 15 Mar) *Now Supports NightEye* By the author of Re-Engaged ENB. 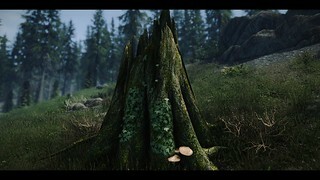 A ENB Preset that currently has preset for Vanilla, Vivid Weathers, Dolomite/NLVA Weathers, Obsidian, Aequinoctium, COT, NAT, Surreal Lighting, Mythical Ages and Rustic Weathers to bring out a realistic/natural look to Tamriel and tries to make it feel colder. Hope you enjoy. Please do not redistribute, use or alter files and upload as your own preset without discussing with me and receiving permission. I am using personally tweaked ENB shaders and not necessarily the standard ENB config files. 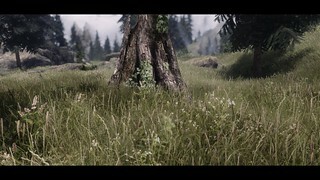 I received permission from other ENB coders to use certain effects and add into my ENB. Not getting permission is stealing from me & the other authors. Please be respectful of the modding community and the work that goes into mods for free and on the authors spare time. Thank you. Dolomite Preset (15 Mar)- Just enabled SSS for Full Quality/Quality presets. It was disabled for some reason. Shouldn't have been. 3.5.1e - (9 Mar) NAT Preset- Updated Adysss's Shader Add-On (God Rays) to 1.3 and adjust settings slightly for new version. No other changes. 3.5.1i - (9 Mar) Obsidian Preset- Updated Adysss's Shader Add-On (God Rays) to 1.3 and adjust settings slightly for new version. No other changes. 3.5.1c - (11 Mar) Vivid Preset- Updated preset with Ady's Shader Add which adds in God Rays. Also some adjustment to HDR and color settings. Adjustment to procedural sun settings due to the new God Rays. V3.5.1a (13 Mar) - Dolomite Preset - Big overhaul to this preset. Enabled eye adaptation effect and adjusted setting to help reduce bright images at times. Adjusted DPX and Technicolor settings for slight color adjustment. Adjusted contract, brightness and HDR settings. 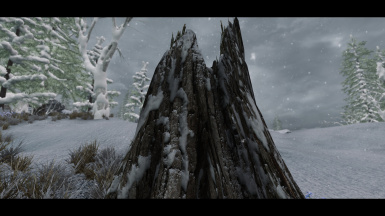 Updated for ENB .372 which adds support for multi weather however, not enabled in this version. Not enough time to work on weather presets for each weather code. Added in Ady's Shader Add-on (God Rays) and adjusted settings. V3.5i (2 Mar) Obsidian Preset updated for binary .372. No weather support in preset at this time though. Added Adyss's God Ray shader. V3.5e (2 Mar) NAT Preset updated for binary .372. No weather support in preset at this time though. Added Adyss's God Ray shader. All Presets (16 Dec) Updated for new ENB Binary V.368 which adds in distant shadows. 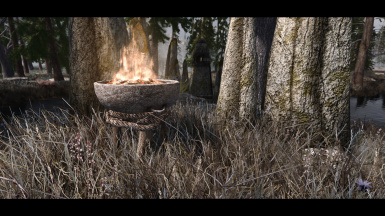 All Presets (13 Dec) Updated all presets for ENB Binary V.365 which adds in shadow effect for both complex particle and fire lighting. I have off by default just for FPS hit for some users. You can turn on if you want. (9 Dec) Updated all presets for the newest 362 (Boris updated again) which added in complex fire lighting plus, added more adjustments for complex particle lighting. Lastly, I accidentally turn on eye adaption effect for all presets in V3.1(should have only been NAT and Obsidian presets) which caused lighting issues. I fixed in 3.2. (8 Dec) All presets updated for ENB Binary .362 which adds complex particle lighting and skin specular effect. Also, disabled Night Eye Fix by default due to it not being perfect. Enable if you want to use. 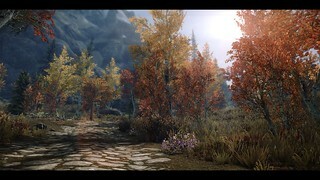 2.9i (14 Sep) Obsidian Preset updated to ENB V.352 which adds in Skylighting. 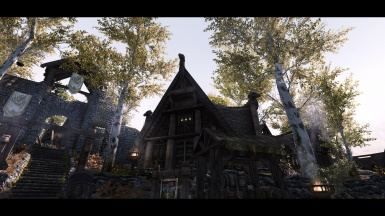 2.9e (15 Sep) NAT Preset updated to ENB V.352 which adds in Skylighting. 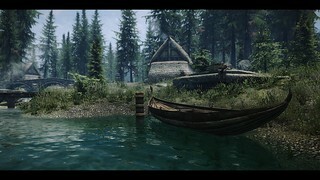 All Presets (16 Sep) All remaining presets updated to ENB V.352 which adds in Skylighting. All Presets (2 Aug) Updated enblocal.ini and file structure to go with ENB Binary update to .347 which adds in shader cache for faster load times. All Presets (9 Jul) Updated all preset with Nighteye fix. Thanks to Phinix (Author of The Truth ENB) he helped me get nighteye to work with my ENB by integrating the effect into my enbeffect shader. The effect is set to work with default nighteye. User tweaking may be required if you are using mods that affect nighteye or vampire eye. V2.6i (30 Jun) Obsidian Preset - Decided to go with adaptation effect on (normally off) because it helps with bright snow/skin. 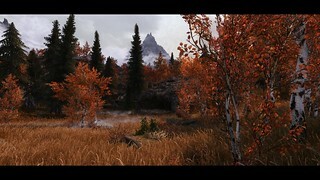 I tweaked for the ENB. Adjustment to bloom, sky and other color settings due to the new adaptation effect. V2.6i (30 Jun) NAT Preset - Decided to go with adaptation effect on (normally off) because it helps with bright snow/skin. 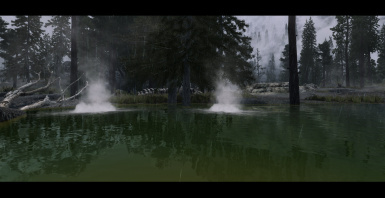 I tweaked for the ENB. Adjustment to bloom, sky and other color settings due to the new adaptation effect. Also adjusted sharpening. 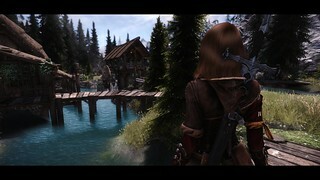 2.5i (8 Jun) - Obsidian preset update for ENB .345 which adds in point lighting and screen space reflection controls. 2.5e (9 Jun) NAT Preset - Updated for ENB Binary V.345 which adds in pointlighting and screenspace reflections. Also, adjusted ambient/direct lighting, colors, saturation, contrasts, SSS, clouds. sky gradients, window lighting, light sprites to try to have a more realistic look. 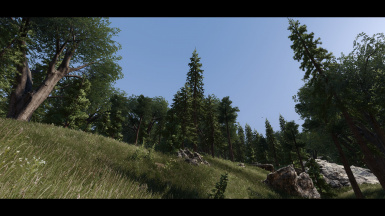 2.5a (11 Jun) Dolomite Preset - Updated for ENB Binary V.345 which adds in pointlighting and screenspace reflections. Also, adjusted ambient/direct lighting, colors, saturation, contrasts, SSS, clouds. sky gradients, window lighting, light sprites to try to have a more realistic look. 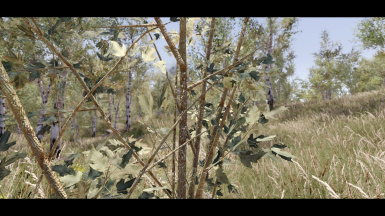 2.5c (11 Jun) - Vivid preset update for ENB .345 which adds in point lighting and screen space reflection controls. Also, slight adjustment to ambient/direct lighting and SSS. 2.5 f,g & h (11 Jun) - Mythical, Vanilla & Surreal presets update for ENB .345 which adds in point lighting and screen space reflection controls. 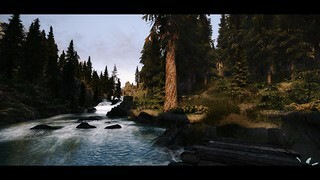 2.5b (11 Jun) Rustic Preset - Updated for ENB Binary V.345 which adds in pointlighting and screenspace reflections. Also, slightly adjusted ambient/direct lighting, colors, saturation, SSS, sky gradients, window lighting, light sprites. 2.5d (11 Jun) COT Preset - Updated for ENB Binary V.345 which adds in pointlighting and screenspace reflections. Also, adjusted ambient/direct lighting, colors, saturation, contrasts, SSS, clouds. sky gradients, window lighting, light sprites to try to have a more realistic look. 2.5j (12 Jun) Aequinoctium Preset - Updated for ENB Binary V.345 which adds in pointlighting and screenspace reflections. Also, adjusted ambient/direct lighting, colors, saturation, contrasts, SSS, clouds. sky gradients, window lighting, light sprites to try to have a more realistic look. V2.4i(4 Jun) - Adjustment to the Obsidian Preset. Adjustment to contrasts, saturation, color settings, clouds, sky gradients, ambient/direct lighting, HDR and other TOD settings. All Preset- Boris updated .343 again with out version change and it changed the SSS effect. With my 2.2 setting it caused artifacts on skins under certain condition and had to retweak my SSS settings. All Presets- Updated for .343 ENB Binary which added in SSS effect. All presets- Boris updated binary .341 that added in [Lensflare_game] parameters to help with the lens flare issue users had if they had the in-game lens flare enabled. I have adjusted the settings to remove the lens flare issue. Obsidian Preset (3 May). Updated Preset for V.441 ENB Binary. Adds in star effects (Doesn't seem to be visible depending on texture used). Big change to the obsidian preset as far as look. Adjusted LUT, DPX and Technicolor, HDR, Contrast and sharpening. Adjusted sky and fog settings. Lastly (Thanks to Rudy) added in SMAA. Please see folder 3 on screenshot on how to disable if you dont want to use it. Vivid Preset (4 May). Updated Preset for V.341 ENB Binary. Adds in star effects (Doesn't seem to be visible depending on texture used). I have star effect disabled cause doesn't work well with vivids stars. Adjusted LUT, DPX and Technicolor, HDR, Contrast and sharpening. Adjusted sky and fog settings. Lastly (Thanks to Rudy) added in SMAA. Please see folder 3 on screenshot on how to disable if you dont want to use it. NAT Preset (4 May). Updated Preset for V.341 ENB Binary. Adds in star effects (Doesn't seem to be visible depending on texture used). Adjusted DPX and Technicolor, HDR, Contrast. Adjusted sky and fog settings. Lastly (Thanks to Rudy) added in SMAA. Please see folder 3 on screenshot on how to disable if you dont want to use it. Dolomite Preset (4 May). Updated Preset for V.341 ENB Binary. Adds in star effects (Doesn't seem to be visible depending on texture used). Adjusted DPX and Technicolor, HDR, Contrast. Adjusted sky and fog settings. Lastly (Thanks to Rudy) added in SMAA. Please see folder 3 on screenshot on how to disable if you dont want to use it. Aequinoctium Preset (4 May). Updated Preset for V.341 ENB Binary. Adds in star effects (Doesn't seem to be visible depending on texture used). Adjusted DPX and Technicolor, HDR, Contrast and TOD setting. Adjusted sky and fog settings. Lastly (Thanks to Rudy) added in SMAA. Please see folder 3 on screenshot on how to disable if you dont want to use it. COT, Vanilla, Surreal, Rustic and Mythical Presets- Aequinoctium Preset (4 May). Updated Preset for V.341 ENB Binary. Adds in star effects (Doesn't seem to be visible depending on texture used). Lastly (Thanks to Rudy) added in SMAA. Please see folder 3 on screenshot on how to disable if you dont want to use it. All Presets- Updated for ENB Binary v.338. Added in Edge AA (Although, not enabled due to shimmering with it enabled). Added Dithering (enabled post dithering). Also, disabled ENB Rain due to issue with black rain. Option is still there for user to turn on. Lastly, only NAT preset had a slight adjustment to day brightness. No other changes. 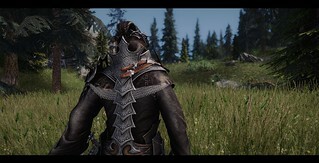 All Presets- Updated for ENB V.334. Which has better performance and also adds in SSAO denoiser to help with smoother looking AO. For Obsidian Preset I reduced the amount of red tones. Aeqiunoctium Preset (14 Apr) Updated for Aequinoctium V1.52 version. 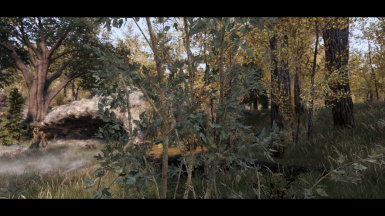 I used tonemapping filmic option in the mod book in game. Tweaked contrasts to fix bright fogs. Also, adjusted sky gradients, clouds, procedural sun, SSAO, DPX and Technicolor settings. Slight adjustment to TOD settings as well for better contrast/brightness balance. Obsidian and Vivid Preset (9 Apr) Updated for ENB Binary .331. 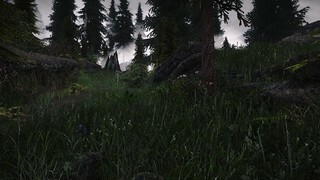 Updated ENB local to have disable fixedlighting=false. Also it added SSAO_game adjustment (Although didn't adjust due to using ENB SSAO_SSIL anyways. NAT Preset (10 Apr) Updated for ENB Binary .331. 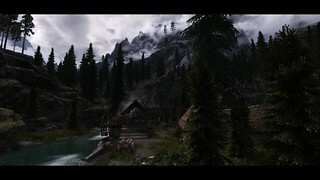 Updated ENB local to have disable fixedlighting=false. Also it added SSAO_game adjustment (Although didn't adjust due to using ENB SSAO_SSIL anyways. added specular parameters to Eyes, Vegetation and Objects. Updated for those changes. Also, retweaked fog settings (due to feedback from users about fog issues. Tweaked sky gradients, bloom, disabled Cloud Shadows (caused too many issues) and slight adjustment to colors. Also added in new optional rain textures. Thanks Rudy for those. 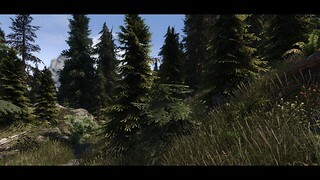 Dolomite Preset (11 Apr) Updated for ENB Binary .331. 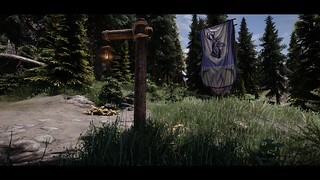 Updated ENB local to have disable fixedlighting=false. Also it added SSAO_game adjustment (Although didn't adjust due to using ENB SSAO_SSIL anyways. added specular parameters to Eyes, Vegetation and Objects. Updated for those changes. Also, retweaked fog settings (due to feedback from users about fog issues. Tweaked sky gradients, bloom, disabled Cloud Shadows (caused too many issues) and slight adjustment to colors. Also added in new optional rain textures. Thanks Rudy for those. 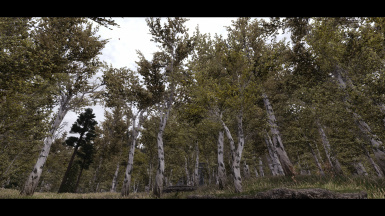 Aequinoctium Preset (11 Apr) Updated for ENB Binary .331. 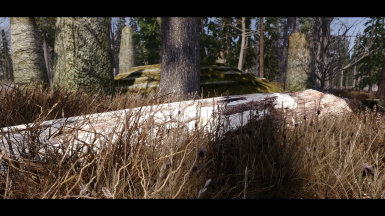 Updated ENB local to have disable fixedlighting=false. Also it added SSAO_game adjustment (Although didn't adjust due to using ENB SSAO_SSIL anyways. added specular parameters to Eyes, Vegetation and Objects. Updated for those changes. Also, retweaked fog settings (due to feedback from users about fog issues. Tweaked sky gradients, bloom, disabled Cloud Shadows (caused too many issues) and slight adjustment to colors. Also added in new optional rain textures. Thanks Rudy for those. 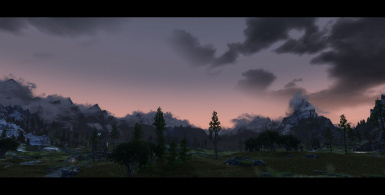 Vanilla Preset (11 Apr) Updated for ENB Binary .331. 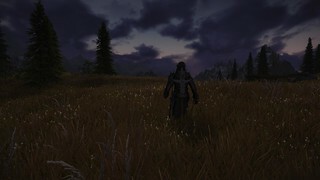 Updated ENB local to have disable fixedlighting=false. Also it added SSAO_game adjustment (Although didn't adjust due to using ENB SSAO_SSIL anyways. added specular parameters to Eyes, Vegetation and Objects. Updated for those changes. Also added in new optional rain textures. Thanks Rudy for those. 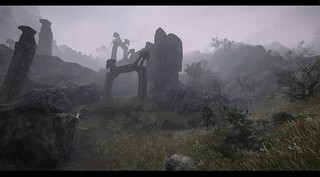 Surreal and Mythical Preset (11 Apr) Updated for ENB Binary .331. 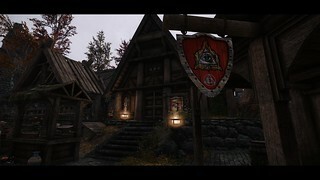 Updated ENB local to have disable fixedlighting=false. Also it added SSAO_game adjustment (Although didn't adjust due to using ENB SSAO_SSIL anyways. added specular parameters to Eyes, Vegetation and Objects. Updated for those changes. Also added in new optional rain textures. Thanks Rudy for those. 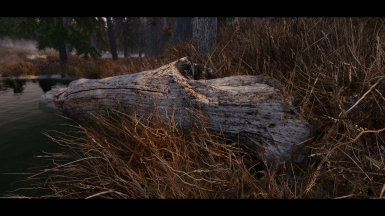 Rustic Preset (12 Apr) Updated for ENB Binary .331. 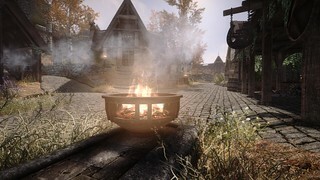 Updated ENB local to have disable fixedlighting=false. Also it added SSAO_game adjustment (Although didn't adjust due to using ENB SSAO_SSIL anyways. added specular parameters to Eyes, Vegetation and Objects. Updated for those changes. Also, retweaked fog settings (due to feedback from users about fog issues. Tweaked sky gradients, bloom, disabled Cloud Shadows (caused too many issues) and slight adjustment to colors. Also added in new optional rain textures. Thanks Rudy for those. 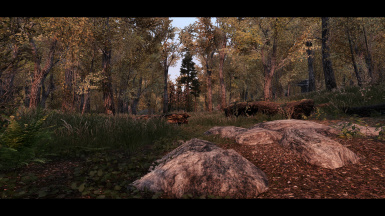 COT Preset (12 Apr) Updated for ENB Binary .331. 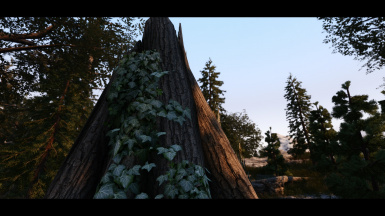 Updated ENB local to have disable fixedlighting=false. Also it added SSAO_game adjustment (Although didn't adjust due to using ENB SSAO_SSIL anyways. added specular parameters to Eyes, Vegetation and Objects. Updated for those changes. Also added in new optional rain textures. Thanks Rudy for those. Vivid Preset (8 Apr) Boris updated .330 again and added specular parameters to Eyes, Vegetation and Objects. Updated for those changes. Also, retweaked fog settings (due to feedback from users about fog issues. Tweaked sky gradients, bloom, disabled Cloud Shadows (caused too many issues) and slight adjustment to colors. Also added in new optional rain textures. Thanks Rudy for those. Obsidian Preset (8 Apr) Boris updated .330 again and added specular parameters to Eyes, Vegetation and Objects. Updated for those changes. Also, retweaked fog settings (due to feedback from users about fog issues. Tweaked sky gradients, bloom, disabled Cloud Shadows (caused too many issues) and slight adjustment to colors. Also added in new optional rain textures. Thanks Rudy for those. NAT Preset (28 Mar) Due to messages from users I fixed the ENB rain, adjusted image based lighting and volumetric rays to not wash colors out as much. Adjusted HDR and color settings to blend better with the new binary .330 changes. Adjust cloud shadows to make it not as dark on cloudy days. 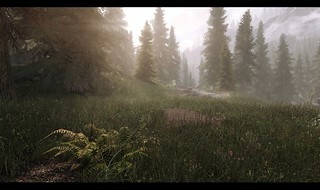 Obsidian Preset (28 Mar) Due to messages from users I fixed the ENB rain, adjusted image based lighting and volumetric rays to not wash colors out as much. Adjusted HDR and color settings to blend better with the new binary .330 changes. Adjust cloud shadows to make it not as dark on cloudy days. Aequinoctium Preset (28 Mar) Preset created and released. NAT Preset (24 Mar)- Updated for ENB Binary .330. Add in Image Based Lighting. 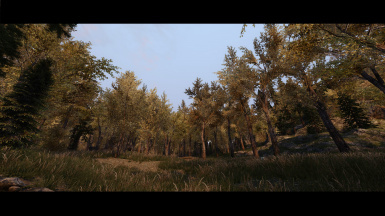 Dolomite Preset (24 Mar)- Updated for ENB Binary .330 Adds in Image Based Lighting. 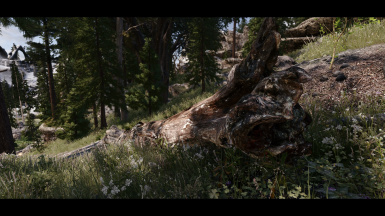 Obsidian Preset (24 Mar)- Updated for ENB Binary .330 Adds in Image Based Lighting. 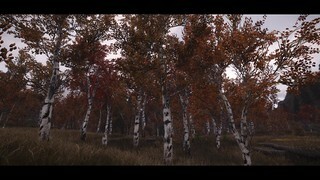 NAT Preset (24 Mar) Updated for ENB Binary V.329 which added in cloud shadows and rain refraction. Also, adjusted volumteric fogs, light sprites, eyesubsurfacescattering and rain. 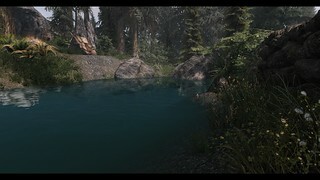 Obsidian (24 Mar)- Updated for ENB Binary V.329 which added in cloud shadows and rain refraction. Also, adjusted volumteric fogs, light sprites, eyesubsurfacescattering and clouds. Also, slight adjustment to saturation. 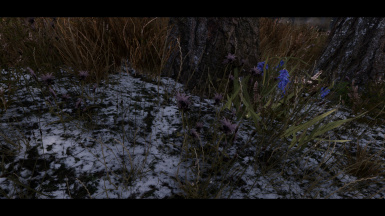 Dolomite Preset (24 Mar)- Updated for ENB Binary V.329 which added in cloud shadows and rain refraction. Also, adjusted volumteric fogs, rain, light sprites, eyesubsurfacescattering and clouds. NAT (22 Mar)- Updated for ENB Binary V.328. Adds Procedural sun and volumetric ray settings. Slight adjustment to rain and clouds settings as well. V1.7.9a- Updated Dolomite Preset. Reworked contrast/color balance. Slight adjustment to sky, bloom and direct lighting. V1.7.9i- Updated Obsidian Preset. Slight adjustment to overall colors, contrast and brightness. Not a major overhaul. V1.7.8- Updated all presets (except Surreal) DOFs, to include optional DOFs, which I removed the blurring of character in 3rd person view. Should help those that play in 3rd person much better now. V1.7.7- Updated Presets (Except Surreal) to V1.7.7. Marty McFly updated DOF Shader to have better performance and overall look. Also removed intergrated AO. I had to rework all DOF presets due to previous settings not working the same way with new shader. 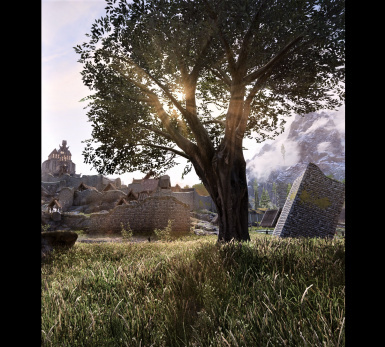 V1.7.6c- Updated Vivid Weather Preset for Vivid Weathers Definitive V2.1. Some minor tweaks to ambient light and TOD settings. Plus adjustment to bloom for day time. V1.7.6.i- Updated Obsidian Preset with better contrast, brightness, color correction and bloom. Overall clearer image. Slight adjustment to sky gradients and direct lighting. V1.7.5e- Updated NAT preset. Adjusted bloom, saturation, contast and fogs. Also slight adjustment to SSAO and Sharpening. V1.7.5i- Updated Obsidian Preset. Adjusted bloom, saturation, contast and fogs. Also slight adjustment to SSAO and Sharpening. 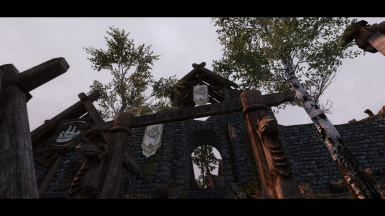 V1.7.5c Updated Vivid Preset to go better with new Vivid Weathers Definitive Edition. Slight tweaks to bloom, sky gradients, color and contrast. V1.7.5g- Updated Mythical Ages preset to new binary V.325. Adjusted added in new SSAO-SSIL, Light Sprites, Window Lighting, adjusted bloom, colors, contrasts and fogs. V1.7.4e- Updated NAT preset with new SSS effects added into updated ENB Binary .325. Plus slight adjustment to ambient/direct lighting and color settings for Technicolor. 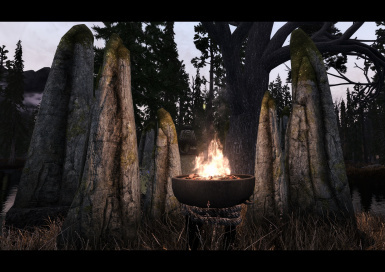 V1.7.4i- Updated Obsidian preset with new SSS effects added into updated ENB Binary .325. No other adjustments made. 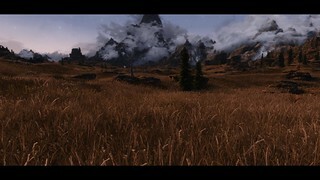 V1.7.4a- Updated Dolomite preset with new SSS effects added into updated ENB Binary .325. Plus slight adjustment to ambient/direct lighting. 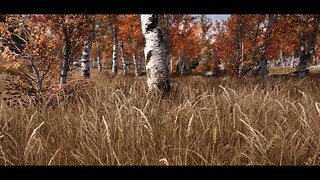 V1.7.4c- Updated Vivid preset with new SSS effects added into updated ENB Binary .325. Plus slight adjustment to ambient/direct lighting. V17.3 (27 Dec) Updated NAT, Obsidian, COT, Vivid, Dolomite, Vanilla and Rustic Presets with reworked SSAO-SSIL settings to help with AO not being as strong and causing black issues on NPCs. 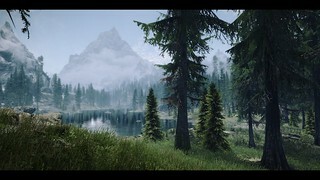 V1.7.2- Updated NAT, Obsidian, Dolomite, Vivid, COT, Rustic and Vanilla Presets with the fog adjustments added into ENB Binary V.325. This new effect adjusts distant fogs amount. V1.7.1a-e & h- Updated Vanilla, NAT, COT, Dolomite, Vivid and Rustic preset to fix SSIL issue causing shimmering. Still slight shimmering with effect but, very minimal at this point. 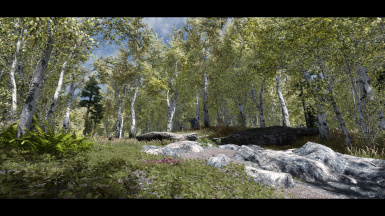 V1.7a-e- Updated NAT, COT, Vivid, Dolomite and Rustic Preset to go with ENB Binary V.325 which adds in SSAO-SSIL effect. 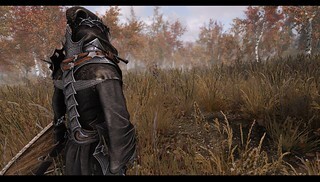 V1.6e- Updated NAT preset for the new ENB Binaries V.324. 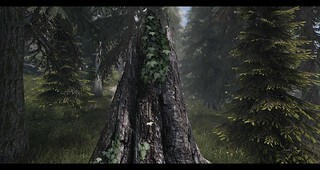 Only changes are addition of light sprites, volumetric fog, particles, fire and window lighting control and adjustments. Also, slight adjustment to bloom. 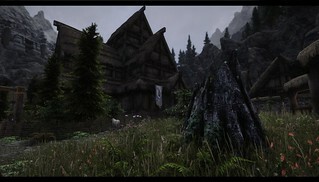 V1.6c-Updated Vivid preset for the new ENB Binaries V.324. 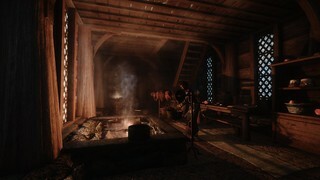 Only changes are addition of light sprites, volumetric fog, particles, fire and window lighting control and adjustments. Also, slight adjustment to bloom, sky and saturation. 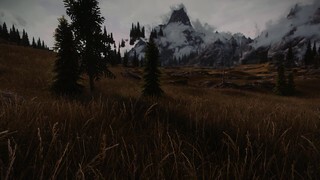 V1.6a- Updated Dolomite preset for the new ENB Binaries V.324. Only changes are addition of light sprites, volumetric fog, particles, fire and window lighting control and adjustments. Also, slight adjustment to bloom, sky and saturation. 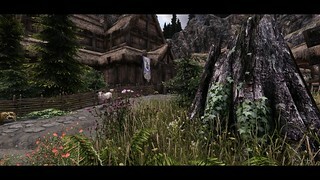 V1.6d- Updated COT preset for the new ENB Binaries V.324. Only changes are addition of light sprites, volumetric fog, particles, fire and window lighting control and adjustments. Also, slight adjustment to bloom, sky and saturation. 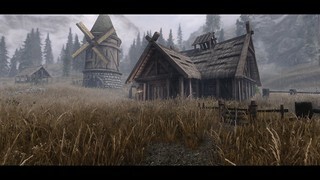 V1.6b- Updated Rustic preset for the new ENB Binaries V.324. 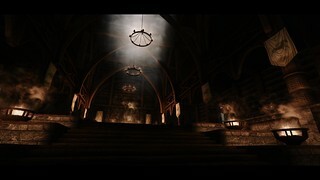 Only changes are addition of light sprites, volumetric fog, particles, fire and window lighting control and adjustments. Also, slight adjustment to sky and saturation. 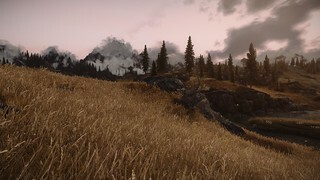 NAT Preset updated with tweaked sky gradients for better sunsets/sunrises and cloud settings. V1.4a- Updated Dolomite Preset to go with new ENB Binary V.320. Added new direct lighting and sky control. V1.4e- Updated NAT Preset to go with new ENB Binary V.320. Added new direct lighting and sky control. Also, slight adjustment to HDR. 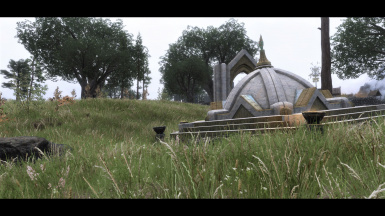 V1.4d-Climates of Tamriel- Updated for new enb binary V.320. Also adjustment to HDR, Technicolor, DPX and slight time of day adjustments. 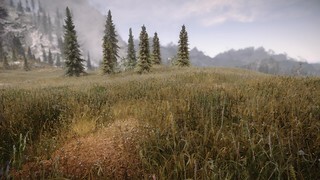 V1.4c-Vivid Weathers- Adjustment for new ENB binary V.320. Adjustment to DPX, Technicolor and HDR. V1.4g- Updated Mythical preset for ENB Binary V.320. Slight adjustment to HDR, Technicolor and DPX for better color balance. V1.4h- Updated Vanilla preset for ENB Binary V.320. Slight adjustment to saturation, color balance. 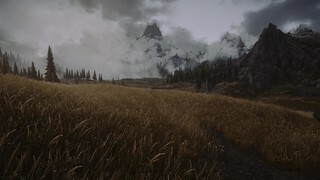 V1.4b- Updated Rustic Weathers Preset to go with ENB Binary V.320. Slight update to NAT Preset Only. Adjusted HDR, Technicolor, Bloom and AO slightly. Updated NAT Preset Only to go with the new standalone version of NAT by l00ping. (6 Aug) Fixed issue in the enblocal where vsync was disabled for all presets. All presets updated with new enb rain texture (from MATSO) and retweaked my ENB rain settings. No other changes. Wow, August 2017 File of the Month Mod! Thank you all for the support. Welcome to my newest ENB for Skyrim Special Edition. While I love the look I have achieved with my SkyrimSE Re-Engaged ENB, I wanted to work on something that is not quite as colorful but, achieves a sense of a realistic look. 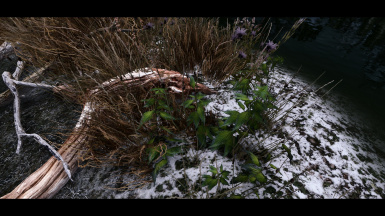 I wanted it to feel colder in Skyrim instead of a warmer feel. 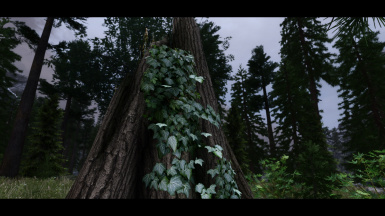 I currently have presets for COT, Vivid Weathers, Dolomite/NLVA II, Vanilla Lighting, Mythical Ages, Surreal Lighting and Rustic weathers which will help make your game have more of an atmospheric feel no matter what version you choose. 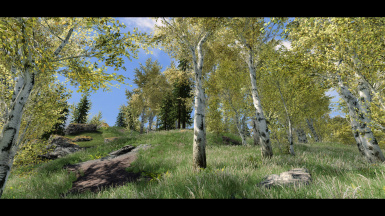 With Natural View Tamriel ENB you will find that colors are lighter in nature but, not overly saturated. You should feel a chill in the air. I used bloom to bring on a more atmospheric feel to the environment. 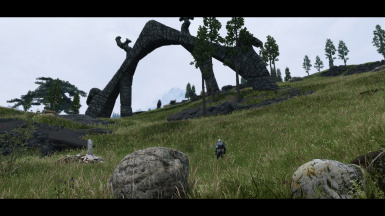 If you are coming from my Re-Engaged ENB. Don't expect the same look as far as colors. You may be disappointed. 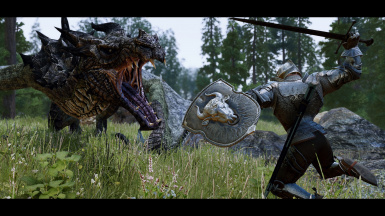 This is not a fantasy ENB. 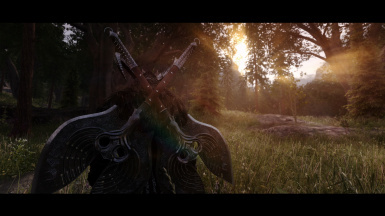 I truly hope that you will enjoy this new ENB preset!! Let me know what you think. Here is a quick video showcasing Natural View Tamriel. 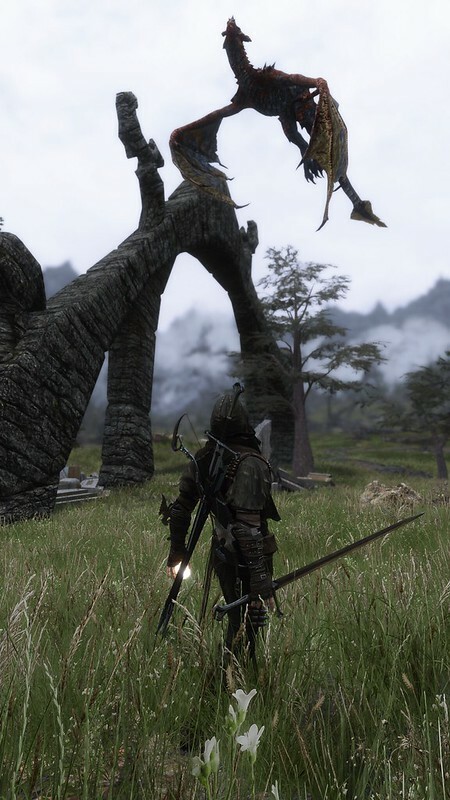 I am of course using other mods for my Skyrim. If you like the look of this seem my environmental mod list below. 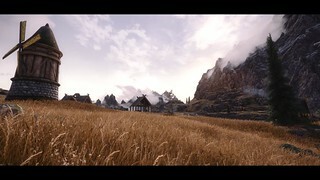 Just a couple shots to give you an idea how Natural View Tamriel (NVT) ENB looks. 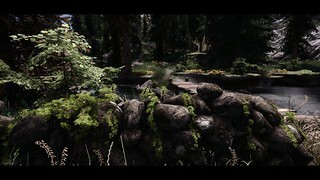 All versions use custom LUT file to adjust colors as well as various ReShade effects that are built into the ENB to change up the color palette in Natural View Tamriel. This should set the new trigger point for your nighteye/predator/vampire vision. Brightness- I recommend leaving at the default location a.k.a 1.0 in your skyrimprefs.ini. Easiest way to adjust brightness when use ENB is through the ENB menu in game (Shift+Enter) and then under colorcorrection adjust brightness. SSAO-SSIL- If you are using my Full Quality/Quality presets I recommend disabling the vanilla SSAO via the graphics options if you are trying to save FPS. DOF- If you are using my Full Quality preset I recommend disabling vanilla DOF via the graphics options. AA- As of V2.0 I have added in SMAA. It is on by default. It is up to you if you want to use just SMAA or use SMAA with TAA or FXAA. You can disable SMAA as well by change the option at the top of the enbeffectpostpass shader in the enb menu. Pre Step- Make sure you have the correct weather mod for the preset you are using. This is by no means an all inclusive mod list. There are many amazing mods out there on the nexus. This is just my main environmental mods that you see in my videos and screenshots. Click on name of mod for link. 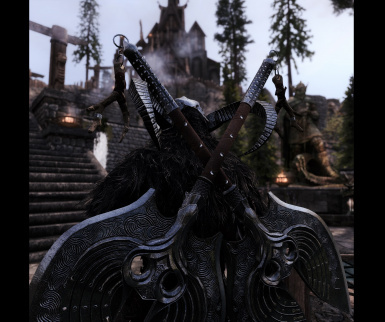 I do use many other mods for my Skyrim with myself currently running over 170 mods. 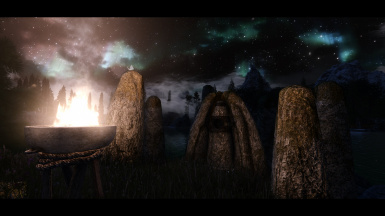 Feel free to check out these mods guides to further enhance your Skyrim. B.O.S.S by LupasHegemonia. He has take the SEPTIM mod guide and brought it up to date. Check out PredCalibers Youtube Channel and he walks through a Nordic Mod Guide (With some minor differences) Install using MO2 if you like to see how its done. 1. I am getting frame rate drops and/or stutters. 2. Night Eye or Predator Vision does not work. Night eye fix is now included within ENB. But, it was tuned around vanilla nighteye effect. Personal adjusting of setting may be required if using a mod that affects nighteye or vampire sight. In game bring up the menu (Shift+ENter) and expand enbeffect section and under Night Eye adjust brightness, saturation and contrast for your preference. 3. Nights are too dark or not dark enough. Unfortunitely I am very limited with SE ENB binaries. However, you can adjust night by a quick click of a button. See folder 3 in the download file to see how to quickly adjust nights and even interiors. Also you can adjust night and/or interiors via the in-game ENB menu then expand enbeffect and scroll down to nights or interiors and adjust settings there. Make sure to calibrate your monitor. Unfortunitely, when I create an ENB I can't take into account all the different monitors. For example those with IPS monitors will find colors darker and richer vs what I see on my TN panel monitor. 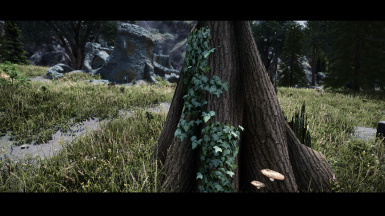 Open the in-game ENB menu by hitting shift+enter and uncheck the lines bloom and Depth of Field and hit save towards the top of the menu. I use a different depth of filed shader by Marty McFly that includes the SSAO effect. So, actually my Depth of Field is SSAO and Depth of Field. Folder 3 in the download file shows how you can easily change that to have one effect or the other. Not sure yet. I want to see how this does first. For most Bethesda for the great game.